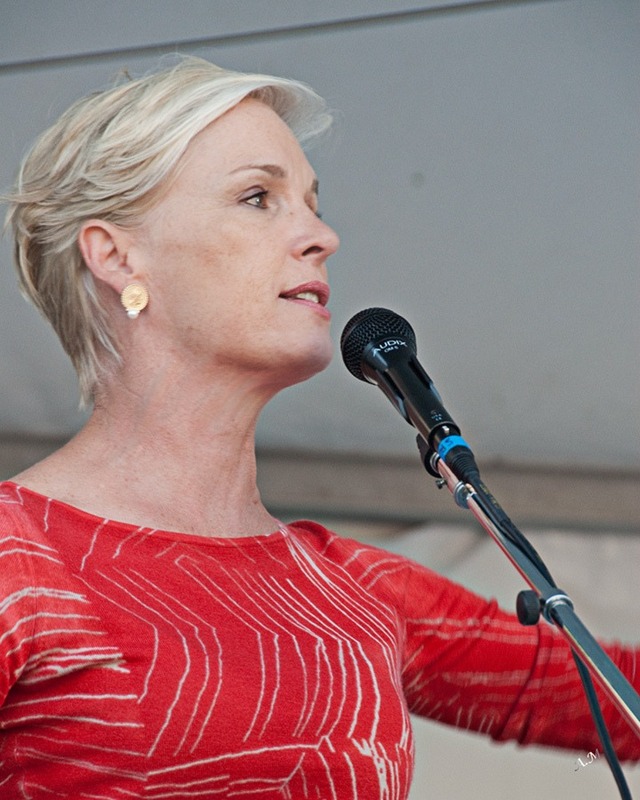 In a letter to the head of the National Institutes of Health, Planned Parenthood Federation of America (PPFA) CEO Dr. Cecile Richards announced that PPFA affiliates would no longer accept reimbursement for charges associated with fetal tissue procurement. PPFA and its more than 700 clinics in the US have been under fire since a series of clandestine videos was released by the nonprofit Center for Medical Progress. Some of the videos showed Planned Parenthood officials discussing fee structures and processes for fetal tissue procurement with people posing as representatives of tissue procurement companies. In order to completely debunk the disingenuous argument that our opponents have been using—and to reveal the true political purpose of these attacks—our Federation has decided, going forward, that any Planned Parenthood health center that is involved in donating tissue after an abortion for medical research will follow the model already in place at one of our two affiliates currently facilitating donations for fetal tissue research. That affiliate accepts no reimbursement for its reasonable expenses—even though reimbursement is fully permitted under the 1993 law. The change in policy is, in part, a recognition that PPFA’s public relations effort in the wake of the CMP videos has been less than successful. PPFA has portrayed the videos as heavily edited and misleading, and critics of the activities documented in the videos as anti-abortion as well as anti-women’s healthcare, especially healthcare for poor women. The videos make people uncomfortable, regardless of their stand on PPFA, fetal tissue procurement, and the broader issues of abortion and women’s health. PPFA’s early response did not address that discomfort at all, as NPQ’s Rick Cohen pointed out here, though Richards did state publicly that the tone of the PPFA doctor involved was unacceptable. Imagine if PPFA had responded immediately by posting the clinics’ price list for reimbursement of costs? Such a proactive step would have deflated all the arguments that clinics were negotiating rates. PPFA had the option of identifying its clinics’ costs and finding philanthropic or other support to underwrite the costs, taking the entire issue of reimbursement and compensation out of the controversy. Also evident in Dr. Richards’ Congressional testimony were a lack of proactivity and a sense of how arguments would play to the general public. Her handling of attacks on her compensation was poor, assuming PPFA follows federal law and regulation in setting her compensation. Rather than Richards merely congratulating PPFA for disclosing her compensation on the IRS Form 990 (which it is required to do), she could have been prepared to discuss the board-led process by which her compensation is determined, why it was increased significantly between 2009 and 2013, and that her current compensation is comparable to (and, in some cases, even significantly less than) similarly qualified CEOs of other national charities of similar revenue and scope. While perhaps Richards was being rational in preparing primarily for questions of relevance to the matters at hand, the wise nonprofit leader is always ready to respond to the generalized obsession with nonprofit leader compensation. It’s amazing that a seasoned nonprofit executive facing Congressional testimony was unprepared to explain publicly available information about her compensation. PPFA’s announcement to NIH will do little to stop the four Congressional committees (soon, perhaps, to be a special committee) looking into its activities. It will also likely do little to deter the multiple states that have cancelled Medicaid contracts with Planned Parenthood affiliates, resulting in headlines, lawsuits, and federal sanctions against some states that have cancelled payments. But this is more of the same for the embattled organization, and the conversation appears to be morphing into another tack—namely, if, as advocates assert, Planned Parenthood is the only way poor women can access healthcare, is it healthy for the federal government to pay hundreds of millions of dollars a year to support a nonprofit healthcare monopoly? Is Planned Parenthood’s indispensability a good reason to revisit the size, scope, and effectiveness of the federally funded community health system, which has a mission to serve poor people in need of basic healthcare? Sting video purveyor David Daleiden has been cleared of the charges flowing from a grand jury indictment, but he still faces a number of civil suits.